Guests of all ages will enjoy these funny Thanksgiving Jokes. Print them for your Thanksgiving table or stick them in your kids lunch! My kids love holiday jokes and I have made a tradition of printing them out and putting them in their school lunches. 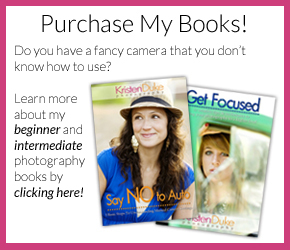 I have a lot of fun Thanksgiving jokes that I use and would love for you to use them too! 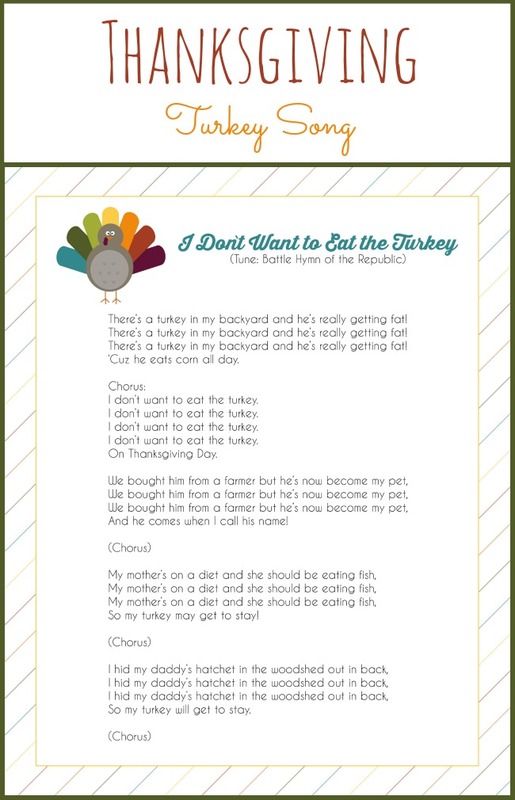 You can download these free printable Thanksgiving jokes to share with your family. I have two sets of Thanksgiving jokes, so you can choose the design and jokes that you enjoy the most, or print them both out for double the fun. This first set of Thanksgiving jokes is full of fun, colorful Thanksgiving images. 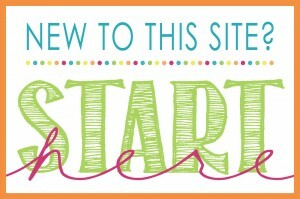 Print these out and use them to decorate the spots where your youngest guests will be sitting on Thanksgiving day. You can download the colorful photo Thanksgiving Jokes HERE. 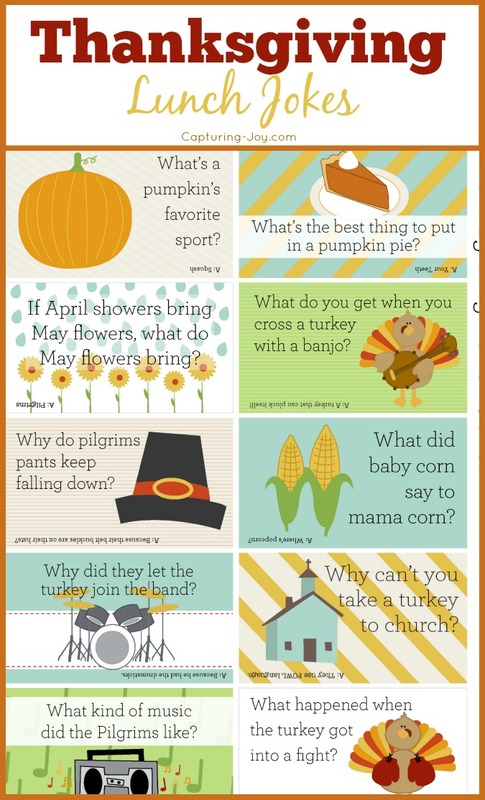 This second set of Thanksgiving jokes have are bordered with fun Fall colors and are double sided. These easily coordinate with your Thanksgiving table. The punchline to each Thanksgiving joke is on the back. 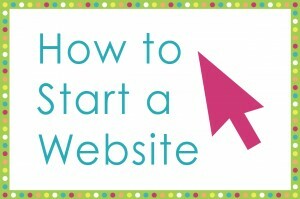 Make sure you download both pages! 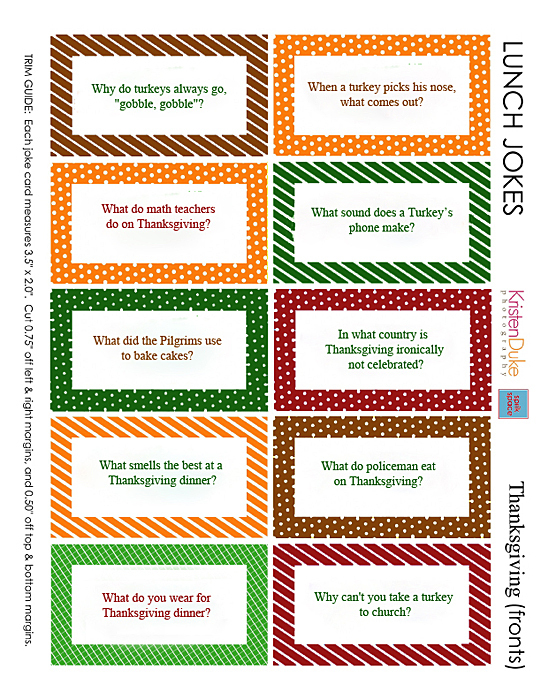 Download these double sided Thanksgiving Jokes HERE! Kids love finding these in their lunches and sharing them with friends, but these are also great for Thanksgiving day. Pass them around your Thanksgiving table and let everyone enjoy sharing these funny Thanksgiving jokes. 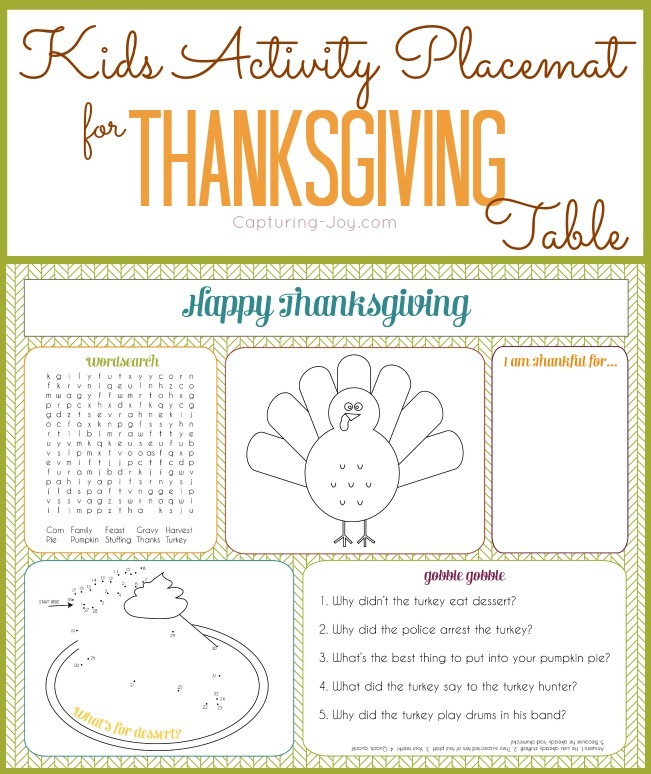 If you need a fun Thanksgiving Activity for Kids, check out this fun Kids Thanksgiving Activity Placemat. 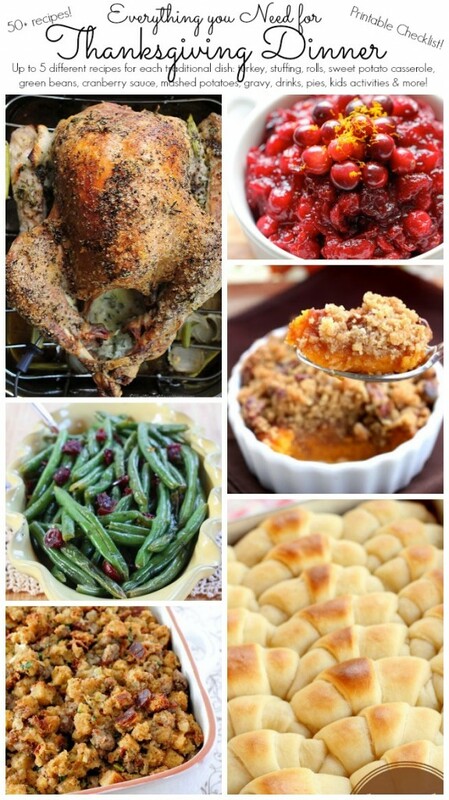 Download this printable Thanksgiving Checklist and make sure you have everything you need for your favorite Thanksgiving recipes. These Thanksgiving Photo Booth Props are fun for the entire family. 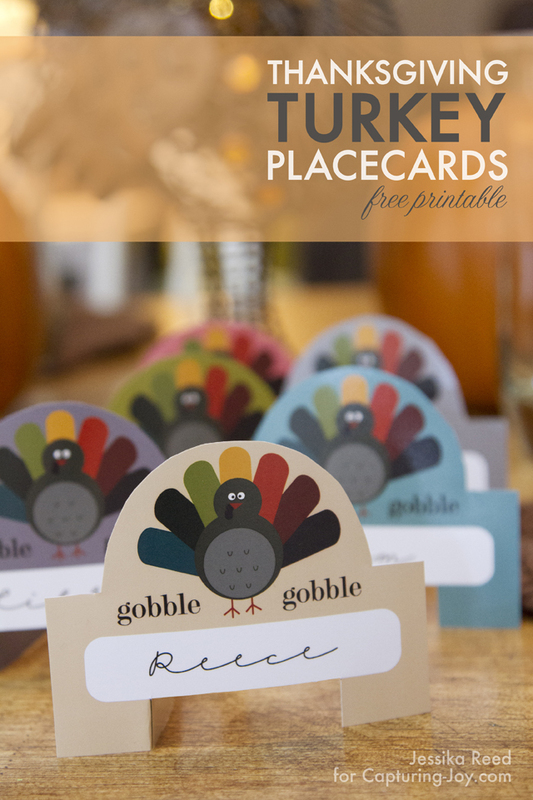 Thanksgiving Placecards are always a great addition to your dinner table. 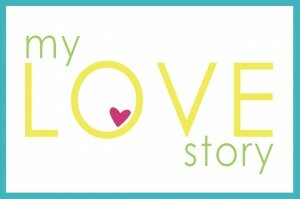 And this fun Thanksgiving Song is a family tradition we have enjoyed for years.